Handel Concerto Grosso in G Major, Op. 6, No. 1. A captivating programme of sparkling instrumental music by Handel, Bach and Vivaldi. 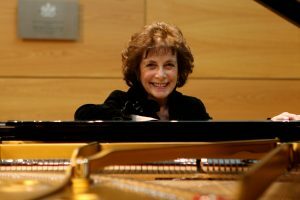 The Bristol Ensemble is joined by the pianist and harpsichordist Virginia Black, described by Gramophone as “…a communicative artist, extrovert, colourful, spontaneous but with a deep sense of poetry”, to perform Bach’s lively Piano Concertos in A major and D minor. Works by Handel and Vivaldi including Winter from The Four Seasons complete the programme. Virginia Black won a scholarship to the Royal Academy of Music in London, and studied piano under Gordon Green and harpsichord under Geraint Jones. She made her debut as a solo recitalist, aged 20, at the Wigmore Hall, London and has given numerous performances on the South Bank in the Royal Festival Hall, Queen Elizabeth Hall and Purcell Room. She has played at many international festivals, including the Göttingen and Carmel Bach festivals, and the Herne and York early music festivals. She has pursued a worldwide concert schedule including the Paris Festival D’Été, the Prague Spring Festival and a series of recitals in the United States. In addition to live performances, she has made many recordings for both radio and television around the world and in England has been featured as ‘Artist of the Week’ on BBC Radio 3. Virginia is rediscovering her roots as a pianist, with recent recitals in England and Europe of baroque and classical masterworks.